The store Antiquités Bolduc opens at 89, St-Paul Street in Quebec City in April 2009. 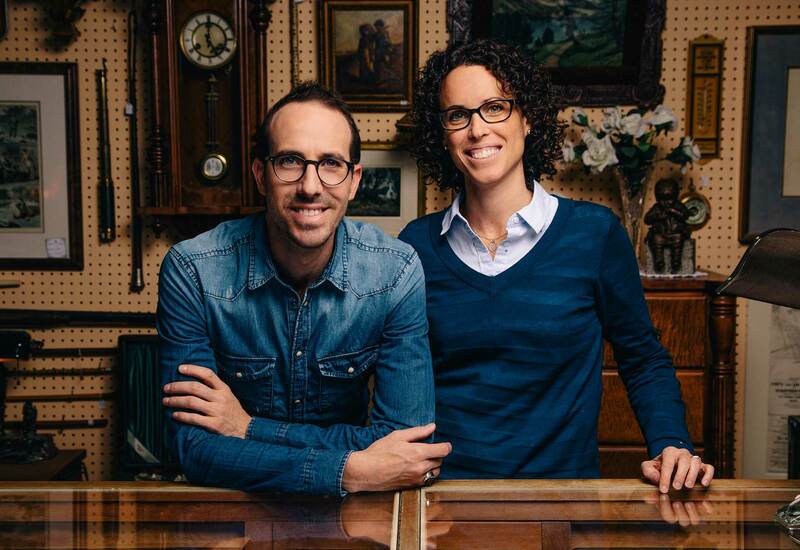 Frederic and Stephanie Bolduc then become owners and continue the antique trade as taught by their parents. They offer a varied selection of objects and antique furniture in excellent condition. Their inventory is updated weekly and available at an affordable price. With a local of 800 square feet and a large warehouse nearby, an impressive amount of beautiful objects accumulated there! In a relaxed atmosphere, guests are greeted with a smile. Conscious customer satisfaction, Frederic and Stephanie love to build strong bonds of trust with their clients. In 1975, Marcel and Paulette Bolduc interested in antiques. They sell their finds first they restore themselves to Scott-Jonction in Beauce, bordering route 173. Gradually, an antique business and builds a customer forms. Their choice of Quebec furniture and small objects selected with taste is appreciated by people. In 1993, Les Antiquités Marcel Bolduc expands. Marcel and Paulette settled on St-Paul Street, famous for its antique shops in Quebec. Trade is thriving and customers more loyal. In 1998, after University studies in communication, their daughter Stephanie decided to join them permanently to become antiques dealer. Then it was in 2000 that returned from a long trip to England, Frederic, their son, is joining the family business. Both bring new life to the company. They set up a website and start selling antiques online. Their arrival increases sales abroad. They even allow the sale of rare objects through large houses such US auction Sotheby’s in New York or Leslie Hindman in Chicago. In May 2009, after 34 years of occupation, Marcel and Paulette retire to make room for their children. Antiquités Bolduc, an expertise of over 40 years!